Now that the dust is settling from the actual announcement of the iPad 2, it’s time we took a look at what actually was said today. The staff of TechnoBuffalo has all sat down to write up some quick comments on our thoughts about the second generation iPad, and all of us are on the same page in a few areas, but differing in others. The iPad 2 is extremely evolutionary, and far from the revolution many of us were hoping for. Sure cameras are a great addition, the colors make it more customizable, the smart covers are novel, and the A5 is faster, but what struck me was stagnation of iOS. It got a few new features, but largely remained unchanged. Certainty the “If it ain’t broke don’t fix it” argument could be made, but that’s the same thing RIM did, and resting on their laurels and reputations has translated to prolonged loss of market-share. I love Apple devices for their elegance, ease of use, and industrial beauty, but it’s getting harder to ignore Android and webOS. The iPad 2 will still be my tablet of choice, but that’s still because nothing better is out. However, once the Android software can take full advantage of the dual-core horsepower, its better notification system and infinite customization options is going to be a fantastic option. Even after the announcement, I still stand by my rant from earlier in the week. Spec-wise, we got what we expected: Dual-core chip, dual cameras for video chat, slightly tweaked design. I still think we’ll see a more radically revamped iPad 3, with 4G connectivity, this Fall. The annual back-to-school event in September will become the launch pad for new iPads as it currently is for new iPods. Apple’s not going to wait until March of 2012 to launch a 4G iPad. That said, the big news here is Apple’s continued march towards their vision of touch-based personal computing. Now we’ve basically got iLife joining iWork as touch-based apps. We’ve got FaceTime extended to the iPad platform. We’ve got the stage set for OSX Lion and iOS5, which should inch closer towards a merged user interface that looks more the same on touch (iOS) devices and traditional (OSX) devices than ever before. iPad 2 is plenty good enough to keep consumers interested, especially with the inevitable barrage of FaceTime/iMovie/Garage Band oriented TV spots that’s about to be unleashed. Tech nerds can argue all they want about screen resolution and processor speeds – Apple’s all about selling a user experience, starting with how they market and sell their vision all the way through to how you use it and integrated it with your other gear. 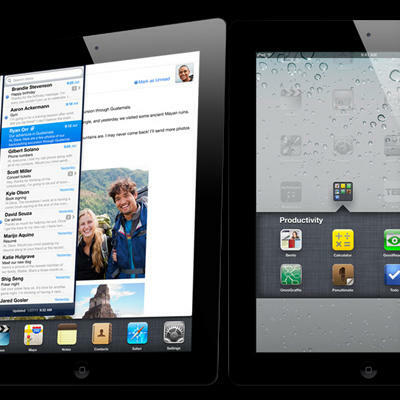 iPad 2 is an iterative step forward for them. iPhone 5, iOS 5 and, iPad 3? I think we’ll see all of the above, and more, before 2011 is put to bed. This felt very much like an incremental update just to keep the product line fresh. Just as when we went from iPhone to iPhone 3G and we got the missing 3G speeds everyone felt the original should have, we finally got the front facing camera we were all dying for. Otherwise, it just wasn’t enough for most people to upgrade from iPad 1 to iPad 2, but I’m sure Apple is hoping it was enough to get the iPad hold outs to finally jump on board with it. I do think the HDMI out is actually the niftiest concept on the device. Imagine playing some Angry Birds on a 52-inch HD TV. Suddenly all of your favorite iPad games have become party games as they can be shared with everyone in the room while you take your turn. This feature more than any other got me excited about the new version. If you skipped iPad 1, this is a definite buy, but if you bought a first generation, I’d only buy it if you had an absolute necessity for a second iPad in your life. It’s faster, thinner, and lighter…and I’m probably going to buy one. Although, truth be told, if they just wrote a giant 2 on the back of it in sharpie I would probably do the same thing – I’ve been suffering from iPad-envy for way too long. That said, I really like the iMovie and GarageBand additions. The ability to connect your guitar/keyboard etc and record and mix tracks? Pretty baller. I was personally hoping for NFC to make an appearance today, as well as 4G/LTE. Releasing a 3G tablet to me right now is ridiculous. Why would you do that? Buffalo bets are on a LTE iPad 3 later on this year. I think that’s pretty unlikely given the giant “2011: Year of the iPad 2” screen Steve put up during the announcement. It’s not the year of the iPad 2 if you release the 3. That said, I think Apple is going to have to jump on the high-speed mobile data bandwagon if it expects to compete this year. 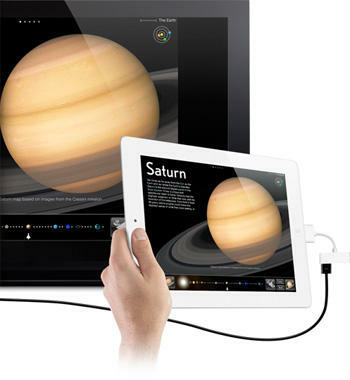 HD video output, and front and rear facing cameras will add unique opportunities for game development on the iPad 2. Augmented Reality titles will have a much larger and more manageable stage for play. And, there’s no doubt that developers will make use of the built-in gyroscope and screen mimic functionality to let gamers interact with software on large, family screens. While most games will likely forgo HD output support, those that do will serve as a welcome diversion. With that in mind, the new A5 processor will almost definitely allow developers to push their tech to the absolute limits. Epic Games, for example, have already championed a gorgeous version of the Unreal Engine for use on the current iPad and iPhone tech specs. New, beefed up hardware will translate to more visually stunning engines. Finally, where gaming is concerned, the added battery life offered in the iPad 2 will make late night gaming sessions last even longer than they already do. Your sleep habits already hate you. What do you think? What were your first impressions of the iPad 2? If you want more iPad 2 coverage, be sure to check out Jon’s iPad 2 overview.